Good evening everyone! I hope your weekend is going great! I don’t know about where you are but her it is hot and HUMID! Today’s blend is a much needed cool down, come on winter! 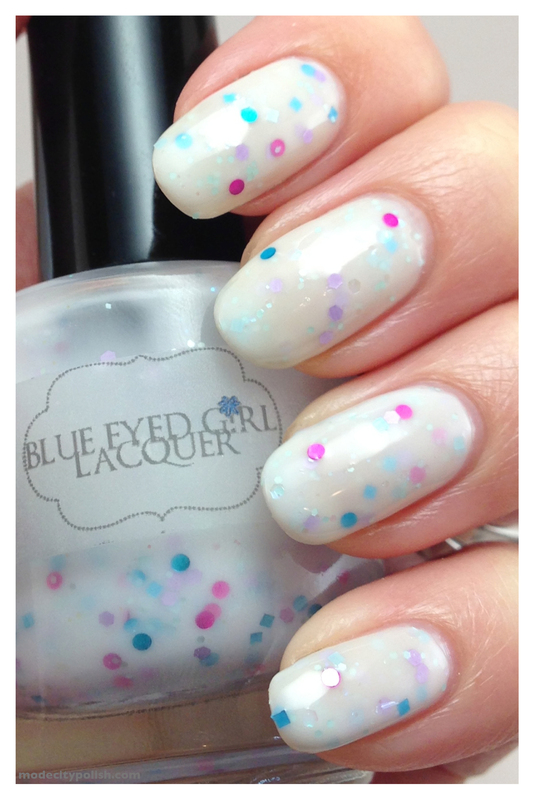 This blend is another one that I received in my recent swap with Julie from Blue Eyed Girl. 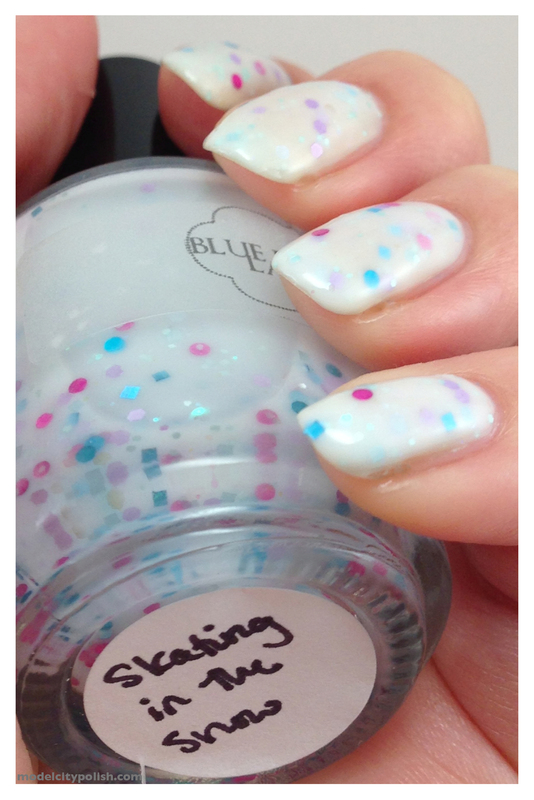 Skating in the Snow is a very translucent white base packed with purple, pink, blue, and iridescent blue glitter. 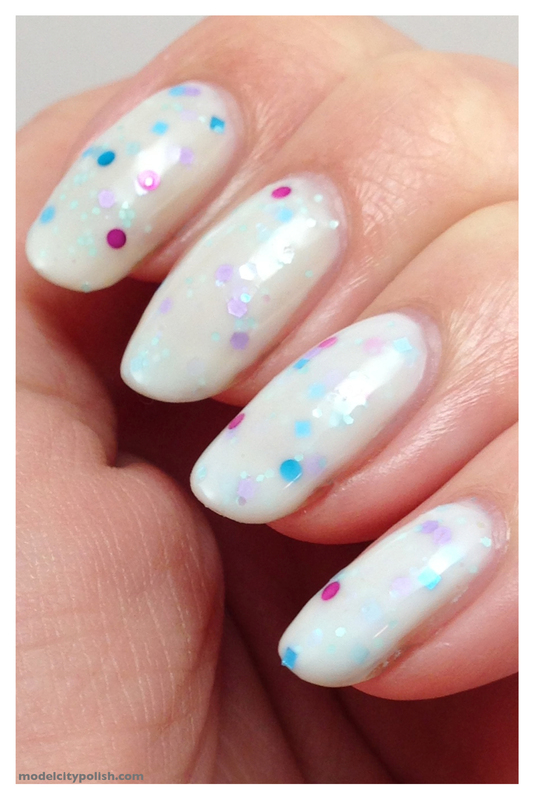 The sheerness of the base gives a wonderful jelly look and lets the many layers of glitter peek through which I love. I used four coats in my pic followed with a coat of Gelous.